He is in the area and giving a teaching, so I thought I would go. It’s a pretty huge event, in a pop concert venue, the tickets were 50 euro’s so I suppose they have to cover rental of the building and travel costs and so on. Arhh great. Can you get him to text me. I want my Metallica CD's back. Thanks. It was really good actually... the introduction to the teaching was kind of an overview of the highlights of the buddha’s teaching, everything from anatta to interdependence to dependent origination came past. It was pretty dense and compact, not at all a beginner’s teaching. The main focus of the teaching was compassion though, it was on the Eight Verses on Training the Mind by Kadam Geshe Langri Thangpa Dorje Senge. 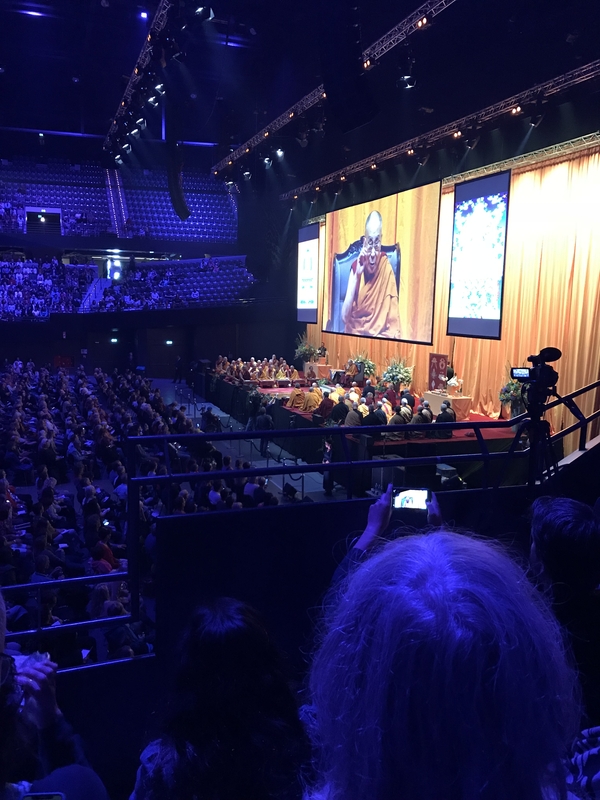 I had a great time, there was good company and it was lovely to see HHDL again. At the end there was a small indication that he might not come back again, he is no longer the youngest of men so this makes sense. But he did say he would be with us in essence as long as he remained on this blue globe. I got to see him during his environmental summit a few years ago. I really enjoyed it. May I still regard him as my precious teacher. All hurts en pains of my mothers. Great to read that HHDL is Marxist as far as social-economic theory is concerned, I have a lot of respect for Karl Marx although I wonder if we will ever see another nation state implement Marxist reforms. It was said that HHDL would not be visiting the United States anymore, that the journey from Dharamsala was too arduous. Which was one reason why Richard Gere made the trek to Rotterdam to be there instead. 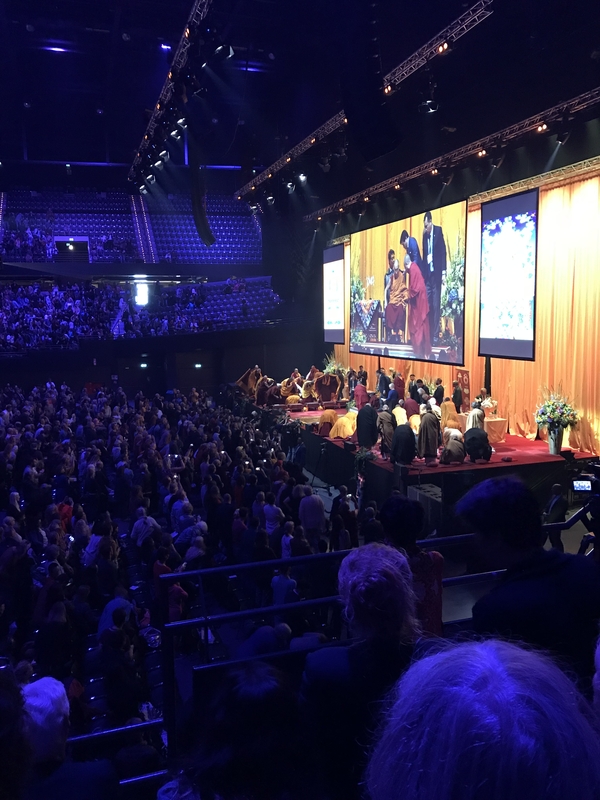 Various parts of the visit are now up as video’s on HHDL’s website. It’s mostly in English.